Just like learning to ride a foot, we have to fall many times before becoming proficient. Same with trading, often we are provoked by fake signals (fake signals) that ultimately bring losses. Well, let alone beginners, veteran traders can still experience loss because of the signal of this deception. So that these errors can be minimized, here are 5 powerful steps to avoid them! False signals generally appear when traders are studying the market with technical analysis of various indicators and / or price action patterns. These deceptive signals will tempt novice traders to open positions too early. Later, prices moved against this position and as a result, the acquisition of pips became minus aka losers. Basic errors often occur because the trading system settings are as simple as time frames. The choice of time frame determines directly the signal quality because the frequency of the appearance of the candlestick (bar) bar depends on the height of the time lag. Fake signals will often appear at lower time frames (below h4). So just imagine if you use option M15 where each new bar will appear every 15 minutes. Price action patterns will emerge in low quality and your indicator will move up and down with high fluctuations. Obviously, the head will be dizzy facing it. The picture above uses the MACD indicator and the M15 time frame, the red circles display the "choppy" market price movements where candlestick bars appear every 15 minutes. As a result, false signals often trap traders to open positions leading to losses. Therefore, it is recommended to use the D1 (daily) option for beginners so that the trading signal that is raised is the higher the level of validity. 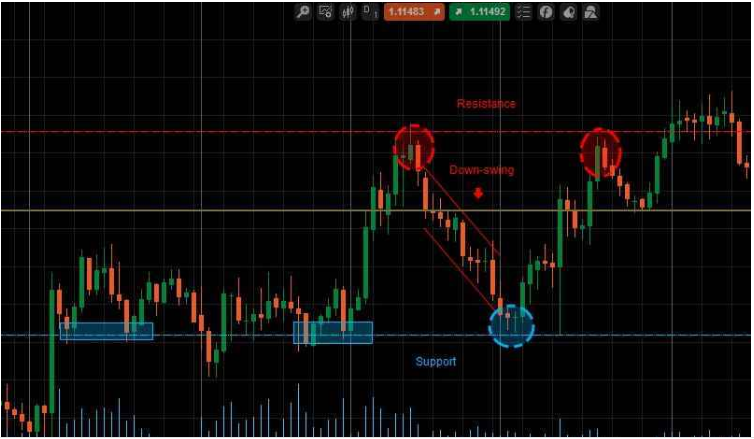 Before reacting to a signal, you need to know where the support and resistance points are. This is important because of the recurring nature of the market. The price is likely to bounce around this point, except in the case of a breakout (prices move far beyond the key support / resistance limits). Fake signals usually appear before prices move to touch these limits. Let's say when market conditions are trending a reversal signal appears. If you open a position based on the signal without knowing where the resistance line is, you will most likely be stuck with a false signal. 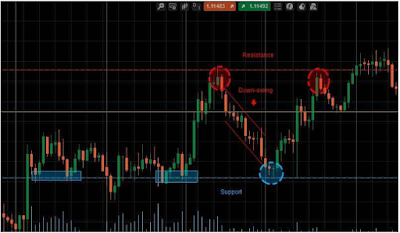 Double check signal quality by identifying the location of the support and resistance points. Reversal signals with good quality when approaching these limits. On the other hand, continuity signals can also use the reference point as the confluence area. High-impact economic news is able to move prices without warning from any previous signal. If you catch a signal when or around the time of the news release, chances are that the signal is invalid in following market volatility. This was due to volatile market sentiment during the high-impact news release. Therefore, you can use the forex calendar to avoid market conditions with high levels of volatility and risk. High-impact news will generally be characterized by three-star markers, three bull heads, red colors, and other highest scales. Danger of the risk of false signals will haunt you if you are a trader with the desire to enter the market with high frequency. 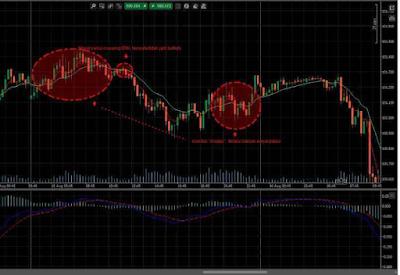 The Forex market is indeed the largest market with opportunities for trading all the time, no wonder that many beginner traders are always tempted to open positions whenever signals from indicators or price action patterns appear on their pair charts. According to some professional traders such as Nial Fuller, overtrading or impulse to continuously open and close positions based on low quality signals (fake signals) not only will expose the risk of loss to your account margin, but also mental stress that will lead to prolonged frustration. According to him, novice traders must learn to be patient and control their impulses to only react (open positions) only when the signal of the highest quality appears (following the requirements of the three steps above). Over time, one trader will develop a different / unique trading system from other traders. The key to the success of a trading system is certainly the consistency of the method every step of the system. In general, beginner traders still do not have an established trading system. They usually just copy and switch trading systems from other professional traders just to look for profit. The problem is, the understanding of one trader cannot be adopted by other traders in a raw way. As a result, the beginner trader actually got a false signal from the mistake of using a trading system.